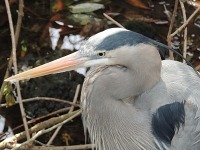 The Heron family of birds contains herons, Egrets and Bitterns. 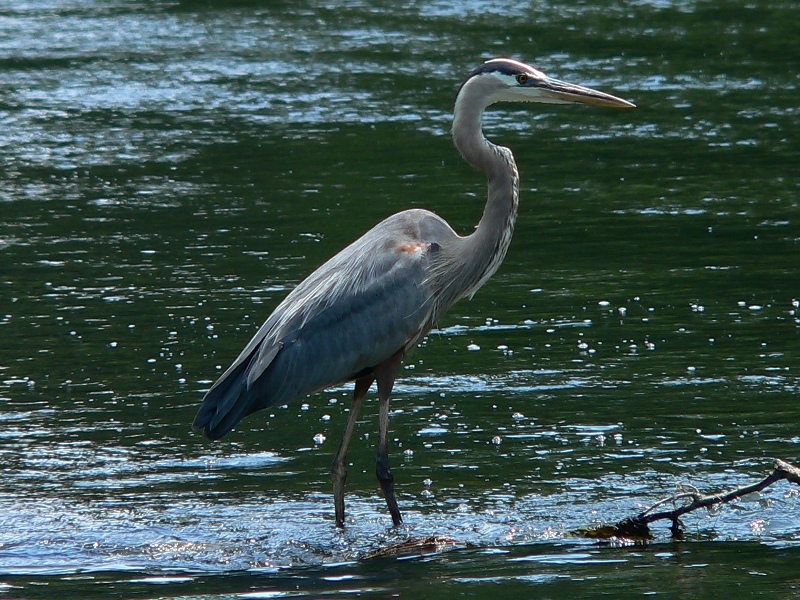 Herons are long-legged birds that live in freshwater and coastal habitats. 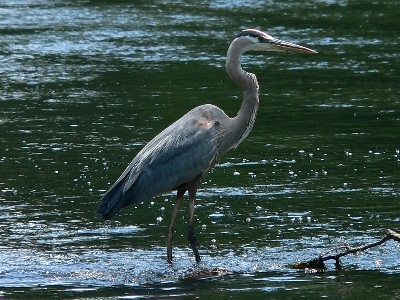 Herons fly with their necks retracted, not outstretched. 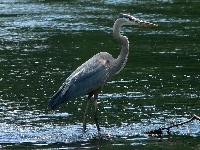 Herons often stand perfectly still in the water waiting for a fish or frog to come within reach.